Fifty years on, the University of the South Pacific (U.S.P.) still embodies the aspirations of the Pacific Island countries. Yesterday, a bulk of alumnae’s, staff and current students of the U.S.P. 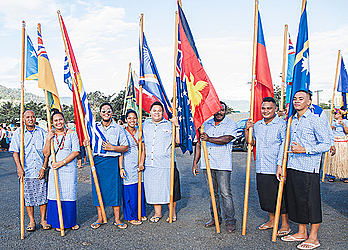 Alafua Campus marched from Tauese to the Government Building at Eleelefou to mark the opening of the university’s Golden Jubilee celebration. Led by the Samoa Police Band, it was a proud moment for all those who were educated under the regional institution that has grown in size and specification to address the needs of all its nationalities. Prime Minister Tuilaepa Sa’ilele Malielegaoi in his opening remarks noted the university was established to fill the leadership gap left by the retreating colonial leaders and fulfill the education needs of the Pacific Islanders. “Since its inception, U.S.P. has shaped the Pacific region for the better and making itself a source of immense pride for the region, this has transformed its position from just an autonomous university in the region to its status as an excellent cultural education provider, research institution and development organization." 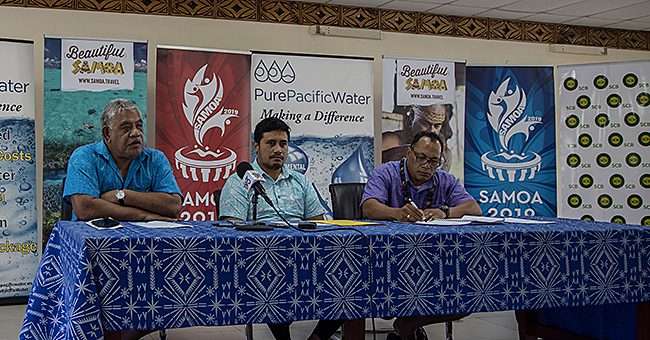 University’s Pro-vice Chancellor, Winston Thompson commended Tuilaepa and the Samoan Government for their efforts in helping the development of the university. “Prime Minister your presence here today (yesterday) is a recognition of what you yourself have given to the university as one of the strong supporters of education not just in Samoa but across the Pacific and it’s this support that you as one of the political leaders of our region that enables us to have this great achievement and development." Mr. Thompson added it is a memorable event because it coincides with Samoa’s 56 years independence. “This event is something that I’m sure that will be used as time goes on as even more graduates come out of the university to contribute to the development of this country and this is something that all of you, who have been involved in one way or another, can justify. 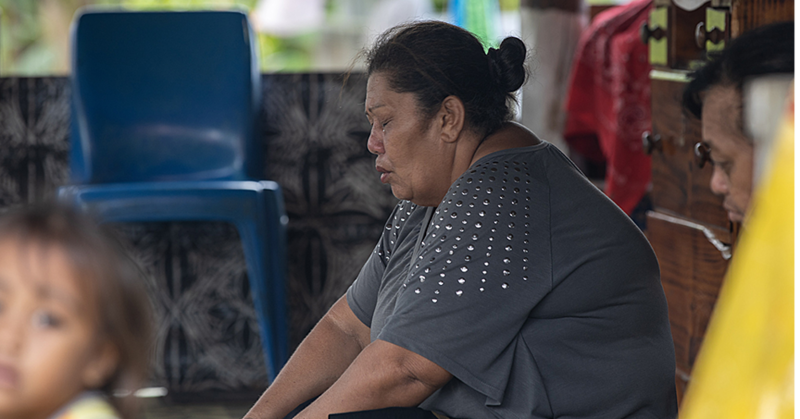 “I particularly recognize the Parliamentarians in their mature years have taken on further studies and we look forward to even more of our communities in Samoa and across the Pacific taking advantage of this new opportunity. 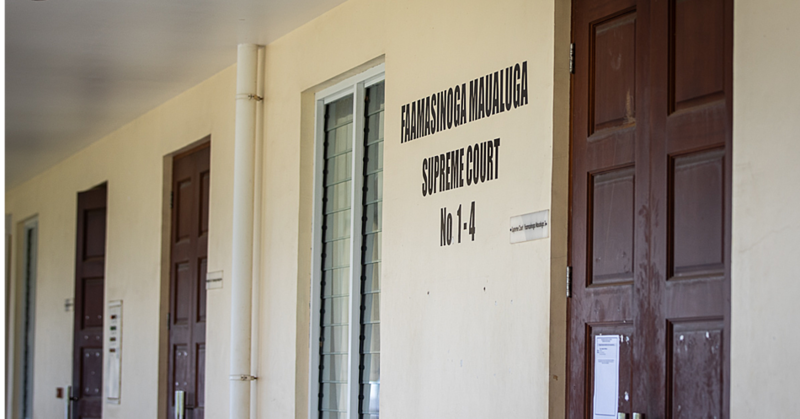 Alafua Campus Director, Mohammed Umar told the Samoa Observer this is very significant for the university because Alafua Campus is just one of the 14 campuses in the region, so it’s very important for Samoa as a country because it hosts the School of Agriculture. Mr. Umar said the number of students in 1968 was 200 and now there are 35,500, which is a huge increase and there are new campuses and buildings done in Kiribati and Solomon Islands. “Most countries in the Pacific now have realized that the university can provide as a premier education institution to the whole region,” he said.